For a number of lifestyle and environmental reasons, qi can become disturbed, depleted or blocked, which can result in some symptoms of pain and illness. 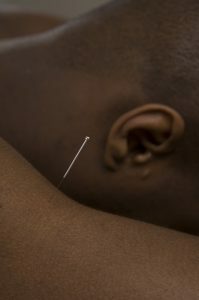 In certain instances, traditional acupuncture can be an effective therapy to help restore balance and promote physical and emotional harmony. Treatment is aimed at the root of your condition as well as your main symptoms. This approach helps with resolving your problem and enhancing your feeling of wellbeing and you may notice other niggling problems resolve as your main health complaint improves. Remember that acupuncturists treat the person, not just the condition they have, and so each patient’s treatment plan will be different. You can always arrange to meet me, or the other practitioners at the Centre for a short free chat to help you decide whether acupuncture is right for you. This gives you the opportunity to ask about other patients’ experiences, and will give you an idea of what to expect from treatment. In my experience both as a practitioner, and as a patient myself, I find that people return to acupuncture again and again because they find it so beneficial and relaxing.